Resources > Articles	> Social Proof: How Can Fashion Customers Inspire Each Other To Buy More? Social proof, also known as social influence, is the psychological and social phenomenon where we imitate the actions of others in order to behave correctly. Ok, that sounded very science-y, right? In fact, you experience social proof whenever you find yourself scrolling through Instagram looking at the latest fashion trends, or when you choose a busy clothing store over the quiet competitor next door. Social proof isn’t a mysterious psychological tactic to persuade shoppers to choose your products. In fact, research shows that consumers see social proof as a crucial part of the buying process. Shoppers use ratings and reviews, photos of other customers, and real-time trends to make purchase decisions. We surveyed the web and email strategies of leading retailers and found that many big names aren’t providing the social proof information that consumers want and expect. Apparel and footwear brands in particular stand to benefit from adding social proof to their toolkit, though it’s not that complex. Here are three ways you can take advantage of social proof, which I hope will inspire you to introduce it in your own business. User-generated content is the perfect tactic for industries driven by visual trends. Loyal customers often become the brand’s best marketers by offering up the latest looks and styles on social media, inspiring their peers. Today’s technology makes it possible to easily pull social feeds into websites and emails in real time. Yet many fashion retailers are not taking advantage of this opportunity. Social feeds can increase click-throughs from emails and product listing pages by highlighting the latest trends. 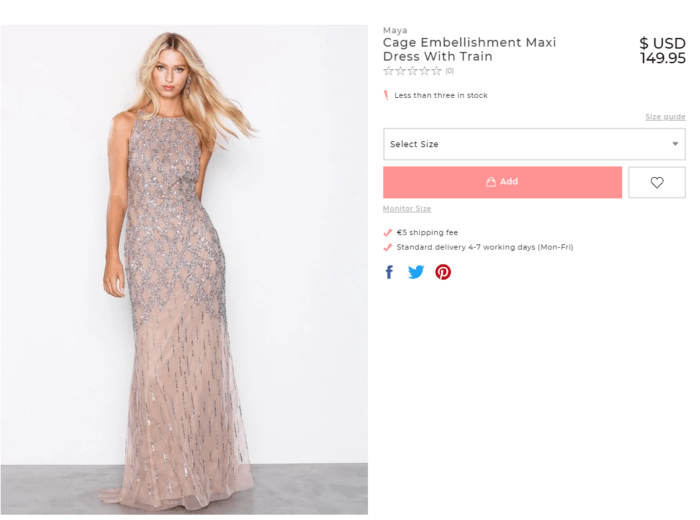 Photos of real customers increase engagement on product pages by helping shoppers imagine how they will look and feel when they wear your brand. This is a major win for customers who would ideally prefer to try on an item before buying it. Retailers can encourage customers to share their photos with loyalty programs and incentives. 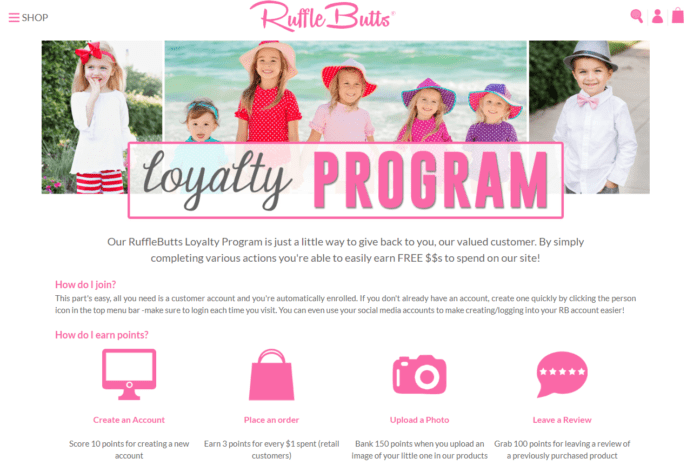 RuffleButts offers 150 points for any photo with a kid wearing its product. We desire items more when they are popular or scarce – a phenomenon known as fear of missing out (FOMO). Marketers can easily leverage this by using real-time stock levels that let shoppers know when an item is running out. A similar result can be achieved by showing how often an item has been purchased or viewed recently. According to our research, 43% of consumers prefer to know how many products are left when making a purchase decision. However, of the retailers we surveyed, fewer than one in ten display current stock levels on their website – and not a single one provides this information in marketing emails. “Less than three in stock” – Nelly.com uses social proof messaging to make product detail pages more compelling. For shoppers, customer ratings and reviews are an indispensable part of the purchase process. 61% of customers look for product reviews when making a purchase, while more than half find star ratings useful. Only product details and shipping information were ranked as more useful. A variety of platforms are available to help retailers collect authentic ratings and reviews from confirmed purchasers. This is a great way to stay on a shopper’s radar and boost loyalty by showing that you value their feedback. Once ratings and reviews are collected, they can be pulled into email and web content to encourage engagement at each stage of the customer journey. In bulk emails, star ratings spark interest and encourage click-throughs. In shopping recovery messages, detailed customer reviews reassure shoppers about the item they were browsing. Since customers online can’t touch or try on clothing like they can in store, authentic reviews on product pages help reduce uncertainty and increase conversions. 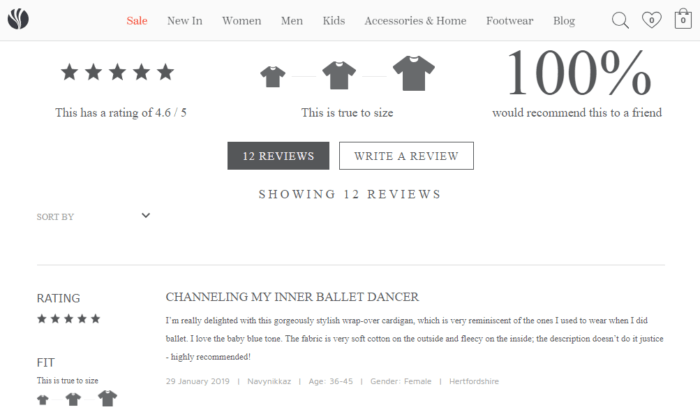 FatFace combines ratings and reviews with additional product information to enhance the customer experience. Fashion retailers looking to leverage social proof don’t have to rely on expensive influencer marketing campaigns. Scalable tactics such as customer reviews, user-generated content and popularity messaging are cost-effective ways to engage new customers and drive customer loyalty as well. To stand out from the competition, brands should understand the types of social proof tactics available and map them to customer insights in order to identify what’s going to be effective in meeting consumer expectations. You can learn more about how retailers can extract value from social proof in Fresh Relevance’s Retail Social Proof Barometer. Jeannie is Content Marketing Manager at Fresh Relevance. She writes and edits content that helps marketers get their jobs done.